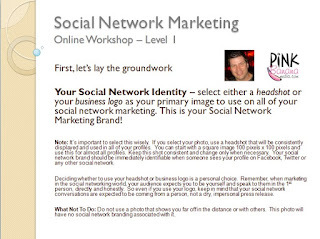 Learn to master the world of Social Networking and unlock this marketing potential for your business! 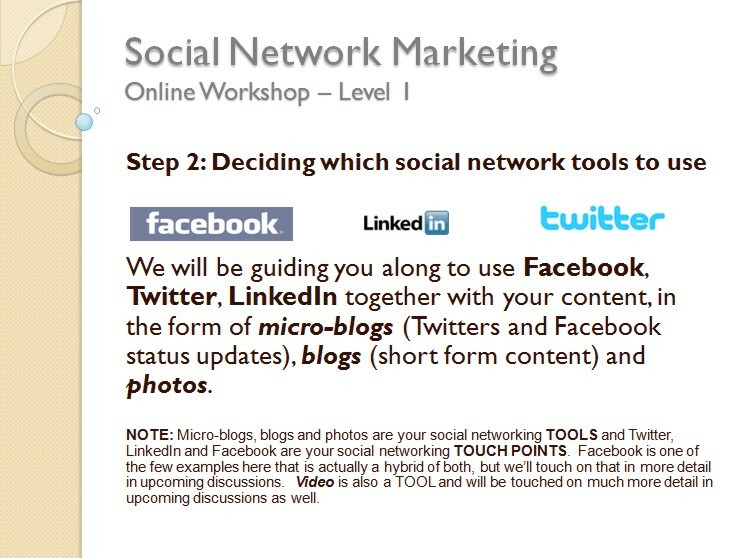 Based upon our successful seminar and webinar series we've been presenting on Social Network and Web 2.0 Marketing over the past few years, we've developed this 5-part Social Network Marketing Tutorials Course series, walking you through each step in promoting your company using social network marketing in a careful and very detailed format. Deciding which path to take and which strategy to follow - should you blog? set up Twitter account and start by going through the followers list of people you know... you'll find others you know to get this all started. Are you on Plaxo? LinkedIn? Do you use Retaggr.com and/or Unhub.com? Friendfeed.com? Discussion on posting links on Facebook, Delicious.com, Digg.com and Google Reader. It's important to highlight other stories that are relevant in theme to your business, i.e., positioning you to become a leader in directing your followers to content that is specific to your industry. 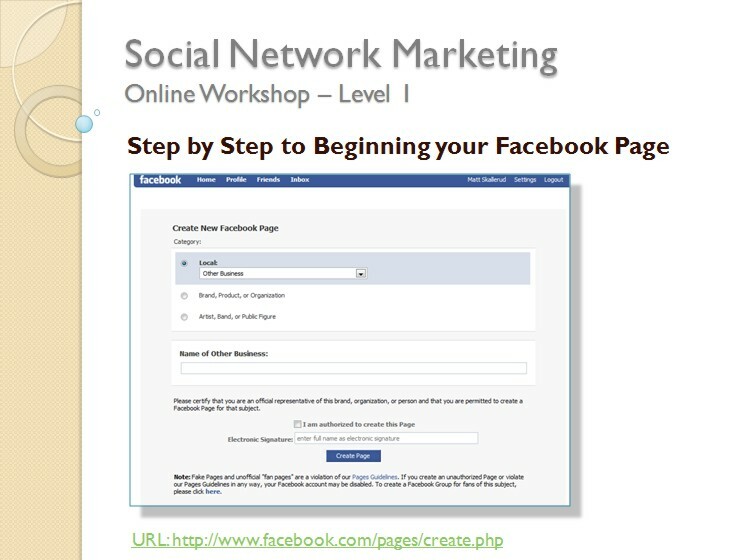 Avoid just grabbing hot headlines and sharing on these sites and on Facebook. Showing advanced places for manual integration including LinkedIn groups, Ning.com, etc. Are you a bar or restaurant? Do you work with Yelp.com? Are you a hotel? Do you work with TripAdvisor.com? Discussions on Power Twitter programs such as Hootsuite and more. Discussions on ReTweeting, Tweet Replies, etc. Discussion on how Twitter connections can be used for Friendfeed.com, Linkedin for TripIt.com, etc. Should you do your own Ning.com site?